When you gather with family and friends to give thanks this Thursday, imagine a smiling child receiving the news that they are going to have their wish granted. When this happens, a child can do whatever they dream of doing, whether it’s meet their favorite role model, see their favorite sports team, visit a theme park, or travel to any part of the world. This is the kind of news that could truly give a child something to be thankful for this year—they will receive the gift of hope, strength, and joy, and it could be all because of you. 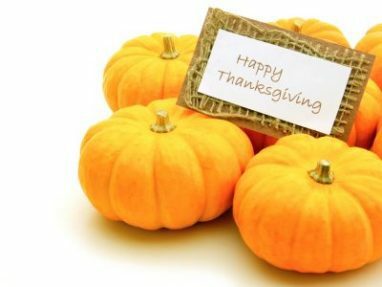 On Thanksgiving, we are giving thanks to the people in our lives, our health and wellness, the food on our table, and to our life and everything in it. We have so many things to be thankful for, and it feels wonderful to be able to give back during such a meaningful time of the year. When you donate a car, you can be the one to grant the wish of a child in your own community. When you donate a car around Thanksgiving, you can give a child even more to be thankful for, and you will truly make a difference in the life of a child. Thanksgiving is a time to give thanks and help those who need it, and you can help a child receive a wish come true when you contact Wheels For Wishes. Sometimes people choose to volunteer their time on Thanksgiving, but you can help out right from your own home, using your phone or going online. Wheels For Wishes, benefiting Make-A-Wish, will take care of the rest. You may even choose to do something for others every year on or before Thanksgiving Day. Maybe you will even choose to live life it’s Thanksgiving every day of the year. We can never be too thankful! The difference between a Happy Thanksgiving and a Thanksgiving to remember is that a “Wish Kid” could receive the news that they are going to have their wish come granted and can wish for anything in their wildest dreams. A child will be thankful every day of the year. When you donate your car to Wheels For Wishes, we will pick up or tow away your car, free of charge. All you need to do is contact us to tell us that you want to make a difference for a child this Thanksgiving, and Wheels For Wishes will take care of the rest. Right then and there, a child’s wish will be one step closer to coming true, just in time for Thanksgiving. Try a more cost-effective and eco-friendly Thanksgiving meal. Consider making vegetables and grains your main course, more similar to the first Thanksgiving meal. Foster a pet or adopt a pet from an animal shelter. Visit fosterspot.com to find a pet to foster in your area or petfinder.com to search for adoptable pets in your area. It’s important to give animals something to be thankful for, too! Thanksgiving is so much more than the food on our plate—it’s about the people in our lives and giving back to our communities! Whatever you decide to do this Thanksgiving, you can know you are making a difference in somebody’s life. When you have a vehicle to donate, give us a call at Wheels For Wishes and we will make sure your old car turns into a wish granted for a child. We can promise you that it’s something you will feel great about doing. Give us a call at 1-877-431-9474 or fill out our online form at https://www.wheelsforwishes.org/car-donation-form/. We are happy to answer any questions that you may have, so don’t hesitate to ask! This Thanksgiving, we are thankful for our many wonderful and generous donors!